Romans 10:9, "This is the word of the Faith [doctrine] which we are proclaiming. If you confess with your mouth Jesus as Lord and believe in your heart that God raised Him from among the dead, you will be saved. For with the heart faith [personal faith] is exercised resulting in righteousness, and with the mouth confession is made resulting in salvation." 1 Timothy 1:19 "...holding faith (personal faith) and a good conscience, which [latter] certain having thrust from themselves concerning the Faith (doctrinal) have suffered shipwreck..."
The universal assembly only started in Acts 2:1. The First Covenant (Old Testament) was still on during the ministry of Jesus on earth until His rejection from the nation of Israel. 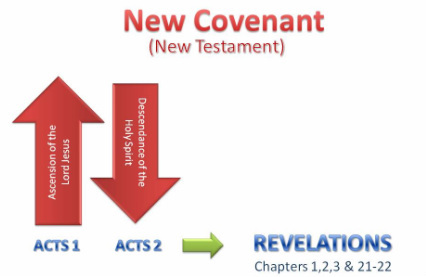 The New Covenant started when the Lord Jesus ascended to heaven and sent the Holy Spirit down in Acts 2. If you read carefully 1 Corinthians 11:23-25, "For I pass on to you what I received from the Lord himself. On the night when he was betrayed, the Lord Jesus took some bread and gave thanks to God for it. Then he broke it in pieces and said,'This is my body, which is given for you. Do this to remember me.' In the same way, he took the cup of wine after supper, saying, “This cup is the new covenant between God and his people—an agreement confirmed with my blood. Do this to remember me as often as you drink it.” The New Covenant only took place when the death of Christ occurred, and when he went to heaven with a promise of the descending of the Holy Spirit, and telling the disciples to wait in Jerusalem (Acts 1:8). This also clarifies that the Lord Jesus first came on earth to fulfill the law according to the Jewish religion. It would be a tremendous mistake to try to fit in the assembly into a Jewish context (i.e. Matthew, Mark, Luke gospels). Yes, there were seeds in these gospels (i.e. Matthew 16:18, "I will build my assembly" future tense), but the New Covenant only started in Acts 2. When you look at the way the Bible is made, we are made to believe that Matthew is the start of the New Covenant but it is actually the end of the First Covenant. I, personally, was mislead because of the divisions of the First Covenant and the New Covenant by the editors. The divisions should have been made in Acts 2 for the New Covenant not in the beginning of the gospel of Matthew, because Matthew is the end of the First Covenant. Another example for misleading titles would be the "Acts of the Apostles". It should be probably more accurate to say "Acts of the Holy Spirit," because the apostles were just the agents or instruments sent by the Holy Spirit. The gospel of Matthew is linked with the First Covenant (Old Testament) because the whole letter, from chapter 1 to chapter 28, is addressed to the nation of Israel and not to the Assembly (Church). Chapter 1 talks about the genealogy of the Lord Jesus tracing his line from King David and Abraham. In chapter 3 we find John the Baptist introducing Jesus to the nation of Israel. In chapter 10:5, the Lord commanded his disciples not to go to the Gentile nations and said in chapter 15:24, "I was sent only to help God's lost sheep-the people of Israel." Then we see many parables used for the Jewish and the prophecies of Isaiah (chapter 13:14) fulfilled during the ministry of Jesus on earth. Likewise, we read on Matthew 21:18 about the fig tree and Matthew 24:3 about the temple. The fig tree was full of leaves and the temple was glorious but no fruits for the Lord to rejoice. Both of them being cursed, the fig tree dried up the next day from the root up and the temple destroyed later on 70 A.D. under the Roman army. The disciples also asked the Lord in Matthew 24:3, "Tell us, when will all these happen? What sign will signal your return and the end of the world?" We know, by reading, that the Lord answered this question by talking about the persecution with the great tribulation period--an event that will take time in the future after the Assembly (church) caught up (1 Thes. 4:13). But he did not talk about the church period. However, he mentioned Daniel 9:26. In Matthew 24:40, the one taken refers to the rapture of the unsaved. In Matthew 25:1&13, the ten virgins are waiting for the second coming, "...of my return". This parable does not refer to the assembly (church) caught up. In Matthew 25:31-32 & 34, the Son of Man, the King, will come and gather all the nations and separate the sheep from the goats. The sheep will enter the thousand years kingdom. In Matthew 27:35, we read the Lord's crucifixion--the ultimate sacrifice for Israel (Isaiah 53), the Lamb of God provided by God Himself. Moreover, in Matthew 28, the great commission was spoken not at the Mount of Olives but at the mountain near Galilee. "Therefore go and make disciples of all the nations baptizing them in the name of the Father and of the Son and of the Holy Spirit. I am with you until the end of the age." What we see in this is the commission of the 144,000 Jewish preachers for the great tribulation baptizing those who will believe under the Trinity until the second coming. And because it says "until the end of the age" it will be until the Lord Jesus sits on His throne (the Great White Throne in Revelations 20:11). The ascension is not mentioned in the gospel of Matthew because Matthew focused on the earthly kingdom for the Jewish. Likewise, the descendance of the Holy Spirit was not mentioned at the end of Matthew 28 (and anywhere else in the scroll of Matthew) because the assembly (church) was not in view. It is every Christian’s responsibility to discover the second FAITH (doctrine of the local assembly), which can only be found in certain scrolls (letters) in the New Covenant and not in the First Covenant. These doctrines will not be found in Genesis all the way to Malachi, as well as in Matthew, Mark, Luke, John, and Revelations chapters 5 to 20. There are a few seeds found, however, on Matthew 16 and Matthew 18 and at the end of the gospels of Mark and Luke for the institution of the Bread and the Cup. The main doctrine for the Christian FAITH is found in: First and Second Corinthians, First and Second Timothy, Jude, and Titus. The scrolls of First and Second John deal with the deity of Christ. The scroll of Romans deals with eternal security. The scroll of Galatians deals with the freedom from the law. First and Second Peter cover the teachings for the conduct of Christians in their daily lives and the persecution at the time and the end time. The scroll of Revelations chapters 1-3 show Christ rebuking the local assemblies (seven assemblies in Asia). The scroll of Hebrews discusses apostasy, and the doctrine of salvation is found in 1 Corinthians 15:1. Christians must master the scrolls of First and Second Corinthians and First and Second Timothy to fully understand the way to gather under the name of the Lord Jesus Christ in a local assembly. Failing to do so and failing to know these scrolls will result to misunderstanding them, hence, becoming a denomination or a non-denomination organization which is the same thing only with a different twist. The whole Bible is not the revelation of the doctrines of the assembly. The assembly is found in the New Covenant. In order to find the truth about the local assembly, we need to carefully read the letters from Paul, which was revealed to him by the resurrected Lord. A person can read the First Covenant and will never find the gathering of the local assembly. We can read the four gospels, Romans, First and Second Peter, and first, second and third John for many years and will never get enough teaching to form an assembly gathering properly. WHY DO WE MEET AS WE DO? Address given at the Chicago general meeting, 1926. I have the thought before me, beloved Christian friends, of taking up a certain line of things that already has engaged the attention of some of us in one or two gatherings recently and would ask the indulgence of any here, in the matter, if what is before us has been rehearsed before. There are other persons present to whom these things are newer, and I trust I have the Lord’s mind in taking them up again. The subject before me is this: why do we, who are gathering unto the Lord’s name, meet as we do? Why do we? I was brought up in what I believe to be the truth, and what is commonly referred to as “the truth.” I can remember way back in the days of my boyhood when my parents used to take me to another place than this. I can remember very distinctly how we used to go together to the Episcopal Church—the Church of England, as it was then called—and I recall the effect produced upon my youthful mind; the scarlet runner on the floor, the carved oak pews and the colorful design in the windows; the singing of the choir, the majestic intonations of the organ and such like things. Those things I approved of as far as a boy has any ideas on the subject. After a time I was being taken to a Baptist Chapel, and of the Chapel I did not equally approve. It seemed a very inferior kind of place as compared with the Church of England. It had nothing but whitewashed walls, no colored windows, and as I remember it, not even an organ and certainly not so eloquent a preacher. I didn’t know why all this was; only I was taken there. Then another interval elapsed, and I was being escorted to a third place. This was an upper room on a business street in the city of West Hartlepool, England. There I discovered about twenty persons seated on benches, with a table in the middle of the room. This, to my youthful mind, presented the strangest puzzle. Everything was so plain, so primitive. There was nothing to attract; neither could I understand why my parents took me there. A number of years went by, and in due process of time, I took my place among them, believing it the right place to be. But still if one had asked me why I was there, I should have had great difficulty in giving an intelligent answer. Oh, if interrogated on the point, I might have said, “I attend there because I believe it to be according to the Bible.” But that doesn’t get me very far, does it? Almost everybody would give a like answer. A Presbyterian, an Episcopalian or Methodist would say that; a Baptist would say it, even an Adventist and a so-called Scientist. We need to have something more definite than that to account for the place we occupy. We who are gathered to the name of the Lord Jesus, are not always able to give a scriptural and intelligent exposition of the matter. I have discovered that. Isn’t it sufficient to say, “We gather in a simple way, like those in the days of Pentecost?” Wouldn’t that cover it? Possibly, if one only has a few moments of time; but for the good of our own souls, it is well for us to know what the doctrinal supports are upon which we rest. In the first place, I would suggest that we gather as we do, because of the worthiness of the name of the Lord Jesus. Secondly: We gather as we do, because we desire to give to the Holy Spirit the place that is His due. Fourthly: Because we conceive it to be scriptural to be on the ground of the one body. Those are the four heads under which I wish to make a few remarks this afternoon. As to the first—the name to which we gather: What name do we bear? If people ask you what “church” you are connected with, what would you tell them? I suppose some of us have felt some embarrassment in answering that inquiry. There are no doubt various ways in which the question could be answered, but isn’t it well to be clear about this: that is, that we own only the name of the Lord Jesus Christ? No other name. Some will say, “You are called ‘Plymouth Brethren’ though, aren’t you?” What would you say to that? I suppose one might say, “Yes; yes, we are called that, but we don’t call ourselves that.” We can’t help what they call us, but we can help what we call ourselves. The name by which we call ourselves is that of saints of God, owning the worthiness of the name of the Lord Jesus Christ, and gathered unto that name. This name then, we discover, is unique according to the mind of God. There is none other like it in His account. It stands alone, both now and hereafter. If we would turn over to the Revelation, we should discover there is no name in heaven greater than that name. Angelic hosts are seen there falling and worshipping before that same blessed One whose name is so exalted. The name of the Lord Jesus, I submit, is worthy of being accepted as the center of gathering. It is a blessed thing to be in accord with the mind of heaven about this. Early Christians were gathered in that name. That is how they came to be called “Christians.” Believers were first called Christians at Antioch. What does “Christian” mean? It means a follower of Christ. Had they no other name? No, for there were no Baptists or Presbyterians or Congregationalists then. They were called “Christ’s ones” or “Followers of Christ.” That is the only name that was attached to them. They took no other, and, dear saints, it is a blessed thing to have none other now. These verses confirm to us that which I suppose no one here disputes; that is, There is no other name but the name of Christ to be tolerated according to the mind of the Spirit of God, and there is no Scripture warrant for taking any other name. Furthermore, if you take another name, you must drop it again. Suppose you call yourself by any name you like to imagine—for instance, a Plymouth Brother. You cannot carry that name into heaven. Why? There is no corner reserved there for Plymouth Brethren. Suppose you call yourself a Congregationalist. You will have to drop that too. There is no corner reserved for Congregationalists, and when we reach heaven and converse with the redeemed, as we undoubtedly shall, we shall not discover any there who distinguishes himself by any sectarian name. Only one name there. That is the name of the Lord Jesus, the Center of the throng—the Center of the throne—the Lamb as it had been slain. That Person and His name will represent all that is glorious and blessed there; the Center for every eye to gaze upon, and the Center of the affections of every heart will be that blessed One. If the mind of God is now such about His Son, and the mind of all heaven in a future day is such about His Son, shall I not be in accord with the estimate thus set on Him, and disown all other names? Dear saints of God, thoughts of this kind have been before us. I would like also to turn to the 18th chapter of Matthew, 20th verse. This verse supposes the thing we are talking about. It supposes the Lord’s people to be gathered in (or “unto”) His name. What a blessed place it is. Being gathered unto the name of the Lord Jesus is not simply a matter of technically using His name. I suppose there is the recognition of what that name involves. Do you not think so? Being gathered unto His name, involves the recognition of what that name implies—the name of the Lord Jesus Christ—the recognition of His Lordship. Going on with what is contrary to His Word and will—one could scarcely call that being gathered unto the name of the Lord Jesus Christ! Being gathered unto His name involves more than technicality. There is in it that which addresses itself to our hearts and consciences too. There must be the practical recognition of the Lordship of Christ in order that truth may have the substance to it that makes it good. No scripture authorizes the use of any other name than the Lord Jesus as the Center for His people. The second point we spoke of was: We gather as we do because we give the Spirit of God His place. This is rather strange language, isn’t it? Something must be seriously amiss to justify its use—“Give the Spirit of God His place!” Who is the Spirit of God? The third Person of the Godhead. The fact that He is commonly spoken of as the third Person of the Godhead, doesn’t carry with it any suggestion of inferiority. The Spirit of God is God. There is no difference in degree between God the Father, God the Son and God the Holy Ghost. The fact that each of these divine Persons is divine, that each One is God, carries with it the impossibility of any degree of comparison existing among them. Each is an infinite Person. The Spirit of God is here on earth. In our reading meetings we have been going over certain scriptures relating to the Spirit of God. These verses, and many others we could turn to, show us that the Spirit of God is here on earth. The weight of this is not sufficiently apprehended among us. A Divine Person is here on earth. God is here in the person of the Holy Spirit. This is an amazing truth! It is an establishing truth! God dwells on earth in the form of the Spirit. As such He is here on earth and for a certain purpose. What is that purpose? “Well,” perhaps you say, “He is here to convict sinners.” That is true no doubt. But so far as our line this afternoon is concerned, He is here for another purpose. What is that? He is here to take of the things of Christ and show them to us. He is here to glorify Christ. That is what He is here for. That is His office. Beloved Christian friends, here is a strange thing about the Bible. In the First Covenant one finds the most comprehensive instructions as to all the services of God’s earthly people. Every ritual was provided for. Everything in connection with the tabernacle and with the temple was provided for. Everything connected with the sacrifices; even to the costumes of the priests; all the vessels of the sanctuary; everything minutely provided for so that there was no possibility of anyone’s making a mistake unless it was through carelessness. But since the Holy Spirit is on earth, you will notice how little instruction we get as to the services carried out by the Assembly. Where do we get any minute instructions as to how the assembly is to proceed when it meets together? Take that meeting which is so precious to our hearts—the breaking of bread meeting—the remembrance of the death of the Lord. Where is the chapter that tells us how to proceed? There is no such chapter. There is no verse that tells us that the breaking of bread meeting must begin with a hymn and after that a brother should get up and pray to or praise the Lord, and then another hymn should be given out, and that at the end of thirty or forty minutes the emblems should be distributed, or how long that meeting should continue. Why is there no scripture covering these points? Because the Spirit of God is here to regulate and conduct as it pleases Him. (I only point out that there are no written instructions for these details. I am not criticizing what is done.) The Spirit of God is here to guide and regulate in the Assembly, and His guiding and regulating in the Assembly, is to the end that Christ may be glorified. That is His purpose—the end He has in view. Well, that puts before us a very great, weighty and solemn truth. In Christendom, largely, the Spirit of God is refused His place. Where in Christendom, in the denominations, do I find the Spirit of God given the place that is thus His due? Where can He guide, direct, or rule (which is His gracious office) if some man guides and directs and has a program made out in advance? If he decided what hymns are to be sung and who is to pray—where does the Spirit of God come in in that? That is what is commonly done, isn’t it? It is. Where is there room for the Spirit of God? There is none. In the creeds of the orthodox churches—the evangelical churches—there are many Christians (thank God for them), but, nevertheless, though their creeds acknowledge the presence of the Holy Ghost, in practice they deny His presence, because their services are carried on as if there were no such Person. Their creed acknowledges Him, but in practice they deny Him. That is rather an unhappy state of things. It is more than that. Something is radically wrong there. Beloved saints of God, this is one reason why we meet as we do. We desire to give to the Spirit of God the place that is His due. And so on. I haven’t time to speak of supernatural demonstrations, but desire to state that I believe they have ceased and have no proper place in the Assembly at the present time. In the Assembly, the Spirit of God is the One to guide and rule. It is His will that should be operative, not the will of man. This is one reason we meet as we do. When we meet as an assembly, we so meet that the Spirit of God has room to operate by whom He will. When we meet together, for instance, for remembering the Lord in His death, we have no program. If some brother hunts up a hymn at home, he makes a mistake. He has no scripture for that. And if another brother hunts up something perhaps he thinks nice to read at the conclusion of the meeting, he is making a mistake. One shouldn’t do that. The Spirit of God should direct in these things. We don’t know who will distribute the emblems. We don’t know who will give out a hymn, or who will stand up and praise God. We have no program. It would not be right if we had. The Spirit of God is the One to guide as He will in the assembly meeting. It is proper to so meet and conduct ourselves that the Spirit of God may be free to operate by whom He will. In the prayer meeting, it isn’t seemly to instruct a brother to pray or advise another to give out a certain hymn. No; the Spirit of God is the One. I don’t say that all is carried out in perfection in our assemblies, for we are poor failing creatures, and may at times be reminded of it, but the ground we are on, and the principles we hold are of God. We so meet as to make room for His Spirit. In Wales many years ago, Evan Roberts gathered together some thousands who had been saved, into a large public building. They were going to have a special service that day. The peculiar thing about the occasion consisted in the fact that no program was arranged beforehand. Furthermore, when the congregation arrived and all the seats were filled and persons were even standing in the aisles and doorways, they observed in the center of the room an empty chair. No one could have that chair. That was reserved as an emblem of the fact—a reminder—that the Spirit of God was present. On that day it was the desire of E.R. and I suppose other godly ones, to have no set program, but the Spirit of God should be free to regulate and rule. This excited great comment. There was a writeup in the newspaper about this extraordinary experiment—dispensing with set program and minister! The day passed off happily, and with distinct evidence of the guidance of the Spirit. We can thank God for the convictions of faith in E.R. and other Christians, but why shouldn’t this have been the unvarying principle afterwards? This gives us then, the second reason why we meet as we do. We desire to give to the Spirit of God His place and office in our midst. It will be observed that these verses are included in the Epistle to the Hebrews. That suggests to us that a Jewish setting is connected with what we are looking at. Jerusalem is before us. It was from that city—that religious city—the Lord of glory was cast out and crucified. It was the place were Messiah should have taken His throne and reigned, but He was cast out. His blood was shed outside of that city. A new center was set up. The cross of Christ becomes now a center for faith. That place outside Jerusalem, outside the religious organization, now speaks to our hearts that know Him. Inasmuch as He, in whom every Jewish type is carried out and fulfilled, died outside the city, it is there that the altar of Christianity is now set up. There is no other altar today. To set up an altar in a assembly is a travesty! It is an abomination! To set up an altar in a assembly now is to suggest that the one offering of Christ is not sufficient. “We have an altar.” The mighty work is done. One offering has been made. The work is finished. There is nothing more to add. Calvary, that place where the rejected One bled and died—that place cancels all earthly altars. There are certain points connected with this system I would like to speak of for a moment. The characteristics of the camp were four in number. In the first place, it had a worldly sanctuary. (Originally this was the tabernacle; later the temple.) Secondly, it had an established order of priesthood which came in between the worshippers and God. Thirdly, it had a congregation of worshippers composed of both saved and unsaved. Fourthly, all of them jointly and collectively, were under the Law for righteousness. Those four characteristics marked the camp. “O well,” you say, “that is all Jewish and has been done away with, and Jerusalem has been destroyed.” Yes, no doubt that is true, but the principles laid down here still abide. A condition parallel to that still confronts us. What I mean is, the worldly sanctuary still exists—grand structures devoted to so-called service of God—but God does not dwell in temples made with hands. Some of these structures are very beautiful so far as architecture and adornment are concerned. But these things are of no value in the sight of God. Christ is rejected and we are in the place of His rejection, and called to follow His footsteps. Ostentation and outward show are not in order now. As to the priesthood, just as surely as the Jews had a system of priesthood ordained for the purpose of coming in between them and God, so surely and none the less truly, in our day, Christendom has established a system of priesthood connected with the professed service of God—men ordained by human hands, to stand between the worshippers and God. We don’t have to go very far to find that. It is an established feature of the day in Christendom, as we all know. As to the third matter—the mixed congregation: How far do we have to go to find that? Do we have difficulty in finding a mixed congregation, composed of saved and unsaved persons professedly gathered together to worship God? We would not have far to go to find that. It is a characteristic of the day. As to the fourth thing—being under the law for righteousness: is there any difficulty in finding that? There is not. That is also common around us today. In many churches you will find the ten commandments inscribed upon the wall, and souls are taught that in order to get to heaven they not only must believe on the Lord Jesus, but also keep the ten commandments. These four things in principle are about us today, and in principle, therefore, set before us the camp. The word of God is, “Go forth therefore unto Him without the camp, bearing His reproach.” We must not suppose that this going forth is always a light matter for those in the camp. It costs something to leave the camp. About thirty years after the reception of Christianity, we find these Hebrew Christians called upon to leave the camp. Don’t you suppose it meant something to them—the breaking of many a tie and long cherished friendship? Still, however grievous it was, the word of God for them was, “Go forth therefore unto Him without the camp.” Let us seek to sympathize with those who do it now. For some it is easy; for others it is not, but is a path of difficulty and trial. Natural affection and old associations hold many in system. In this connection see 2 Peter 1:5-7: “Add...to godliness, brotherly kindness; and to brotherly kindness, love”—divine love. It isn’t enough to stop with brotherly kindness. Divine love must be the impelling power. “Bearing His reproach.” Reproach is linked with the outside place. Have you discovered it? You ask a Catholic what he is connected with, and he will tell you he is connected with the Catholic organization. It causes him no embarrassment to say that. He is in the camp and a very big and principal part of it. Suppose I am gathered to the name of the Lord and some acquaintance asks me what I am connected with. I presume I am not alone in feeling a measure of embarrassment. I say, “I am connected with a little meeting.” “What kind of meeting?” “Well, a very simple kind of meeting.” “What name do you go by?” “Why, we haven’t any name.” “No name?” “No; well, we gather to the name of Christ.” “But you must have some other name?” “No.” Well, he thinks I am a crank, you know, and after going on a little he is convinced of it. “That man must be some kind of a religious fanatic,” he says. There is reproach connected with it. It lowers us in the estimation of those around us. That is part of our heritage. It is a blessed thing—something to value and appreciate—something which will bring a peculiar reward. You don’t find that reproach in the camp, but outside it. Fourthly. We believe it to be according to Scripture to be gathered on the ground of the one body. That is a large subject to be spoken of in a few minutes. Ephesians 4:4. “There is one body.” That is a very wondrous truth! A very deep truth! An exceedingly blessed truth! “One body.” Not two hundred as the United States Census report makes out. God looks down from heaven and of all companies of believers found on earth in various associations and places where they are found, He is unable to take cognizance, except to say, “There is one body.” In whatever associations, all believers constitute that one body. They may call themselves by other names. Many believers are found among the Presbyterians, the Baptists, Methodists, Congregationalists, the Episcopalians, and doubtless many are found in other places too, but such names are without value to God. All He takes knowledge of is that they are members of the one body. They belong to that. This is a very, very large truth, isn’t it? That we, who by grace are his, belong to that one body, and to the only body there is. There isn’t any other. In heaven this will be perfectly manifested. Here it is not very well manifested. Only the eye of God can see that one body. Nevertheless, it is so. There is one body. The loaf of bread upon the Lord’s table speaks to us not only of the death of the Lord Jesus, but before it is broken, of the truth that there is one body. We partake of that loaf as members of the one body and in no other way. Our time is so far advanced, we cannot say much more as to this comprehensive subject, only we conceive it still to be according to the teaching of Scripture to be gathered on this large ground, acknowledging every member of the body of Christ on earth as a brother or sister, and acknowledging the right, or privilege, perhaps it is better to say, of every such a one to remember the Lord with us—to partake of that one loaf. One finds it necessary to add this: Whereas in the beginning these matters were very simple, today they are not equally simple because there are those who call themselves Christians who are not Christians at all, and it no longer suffices to take a man’s own word for it. All kinds of people call themselves Christians now. It is our duty to discover if reality is there. We are responsible for those whom we receive, and this responsibility we cannot put on them. I trust what has been said has been according to the truth, and if so, that the Lord will bless it to our hearts. “Lord Jesus, are we one with Thee?